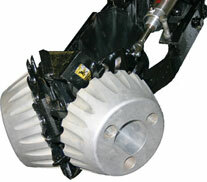 CleanSweep is a dual air cylinder that lets you set and adjust your row cleaners’ down pressure from the cab. Have heavy residue? Add more pressure to sweep away the debris. Have light residue or soft ground? Lighten the pressure and keep the row cleaner floating across the top.